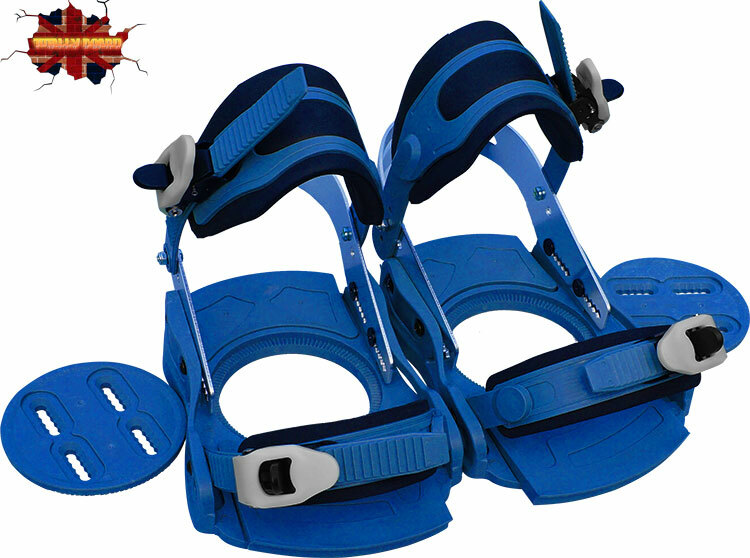 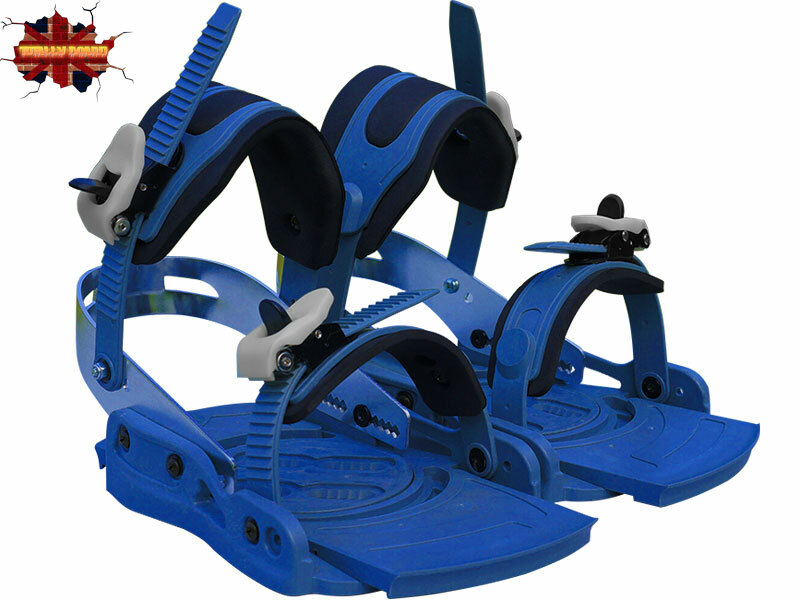 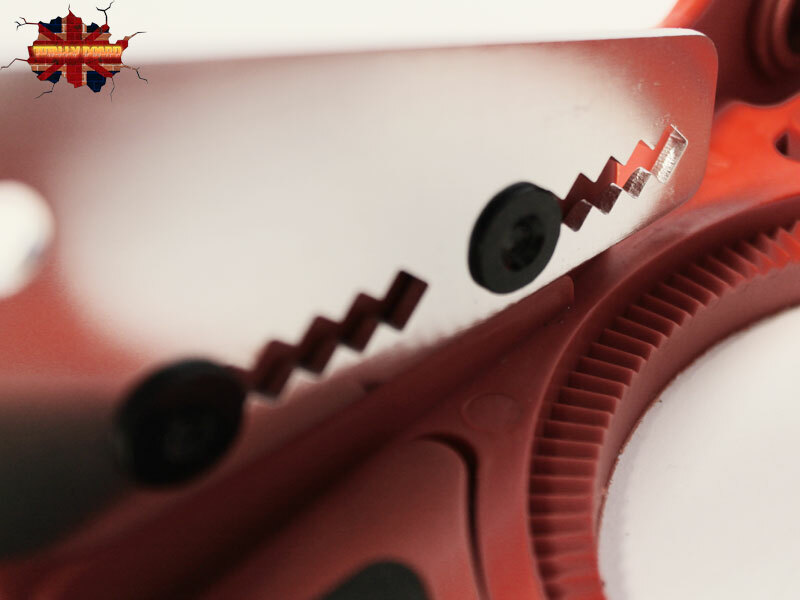 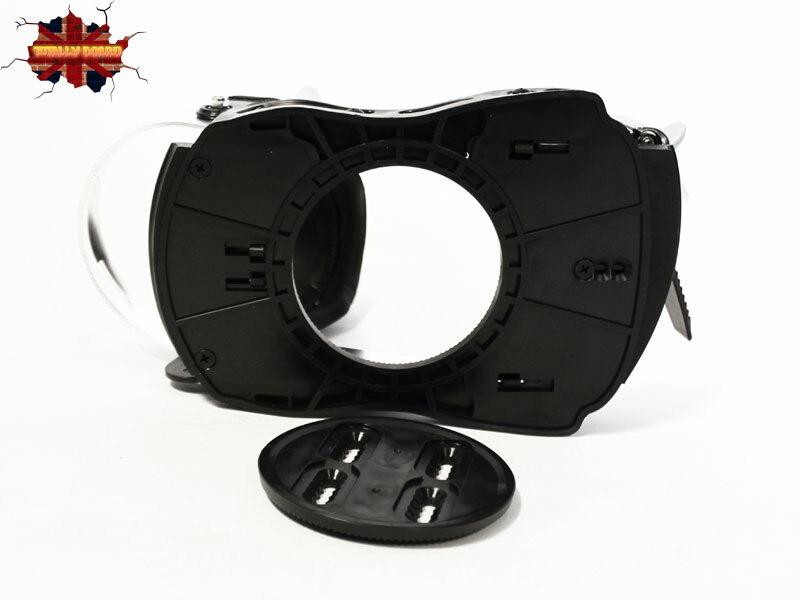 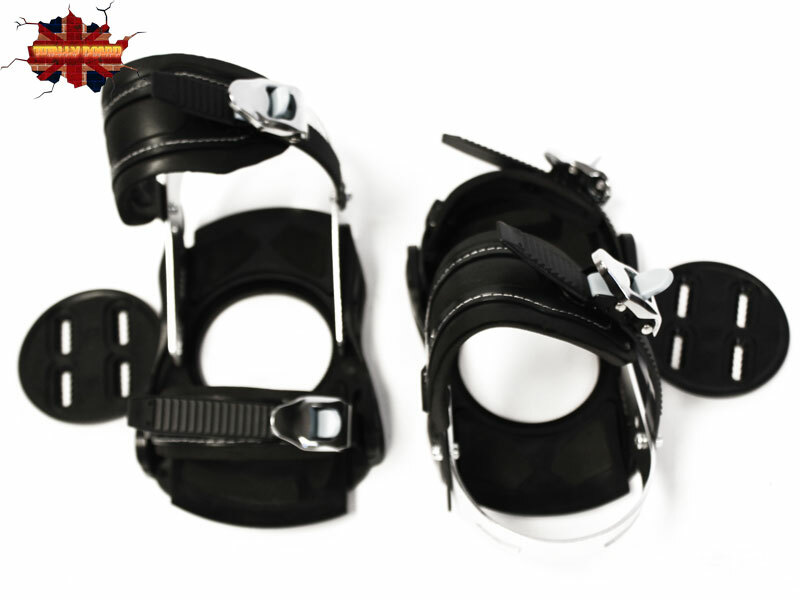 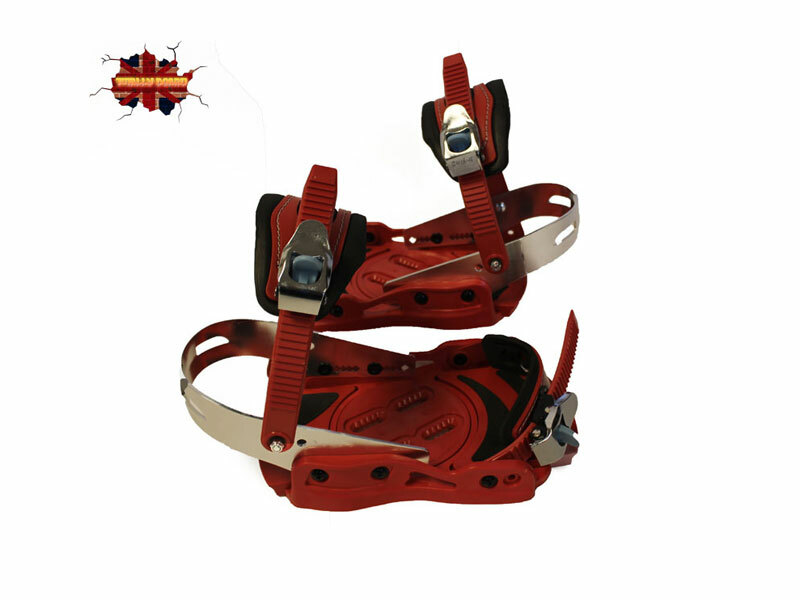 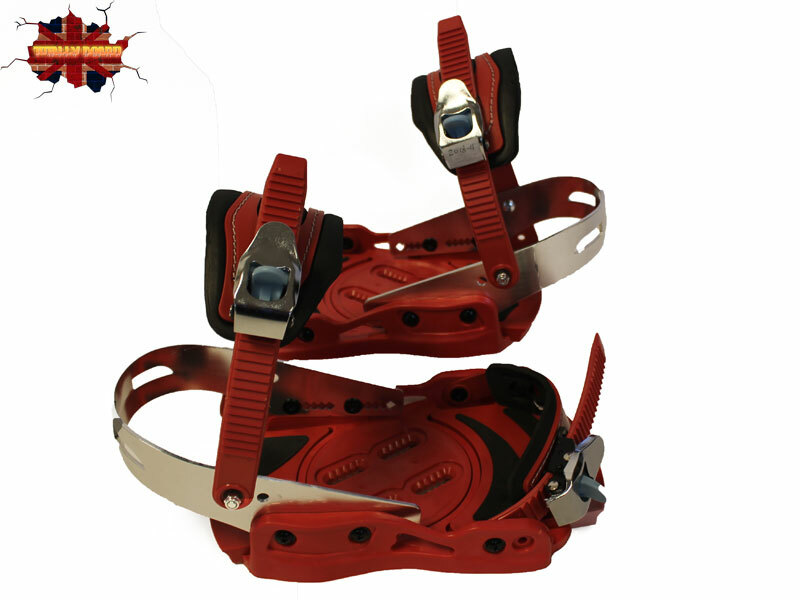 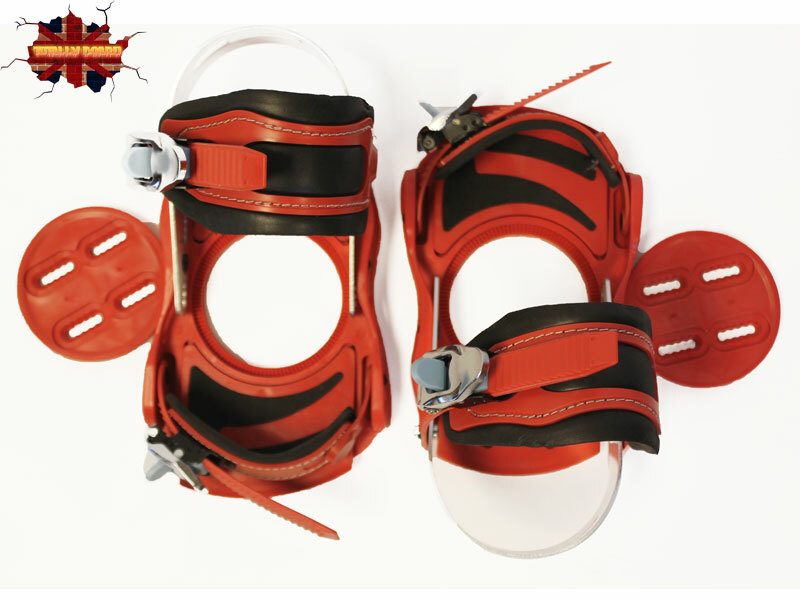 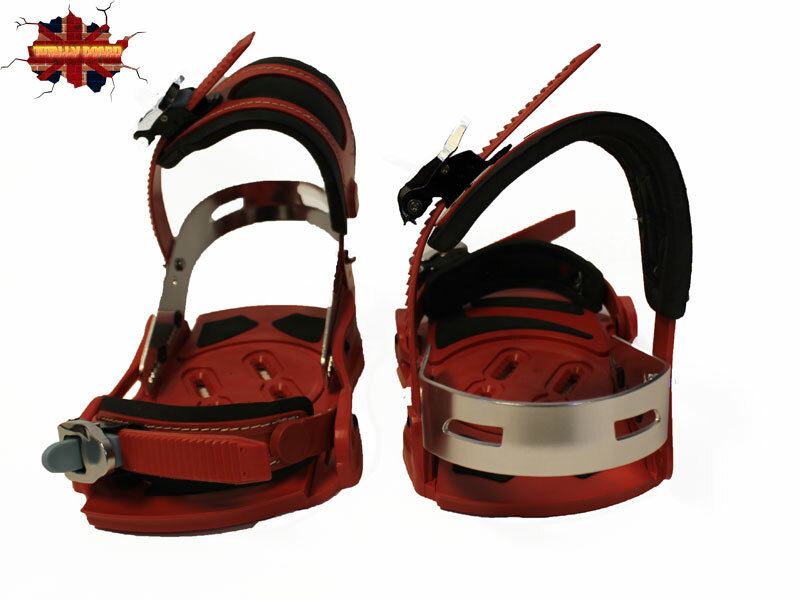 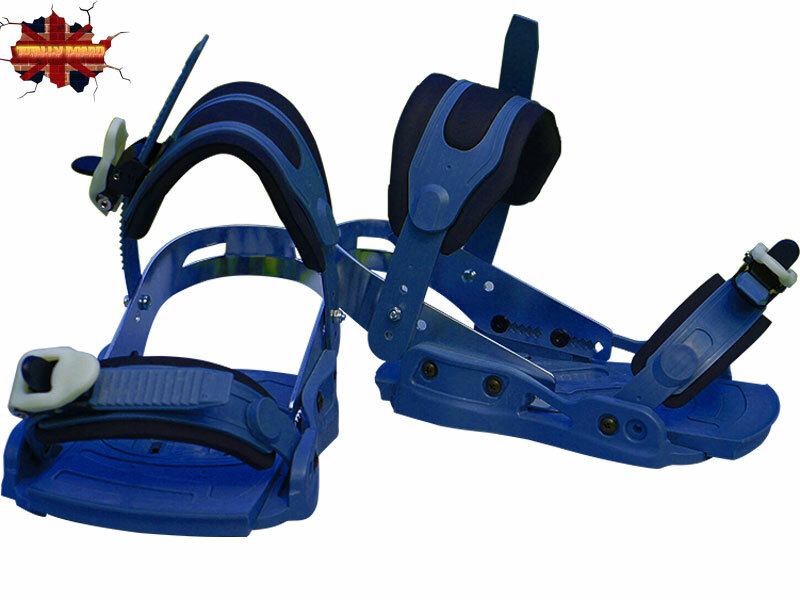 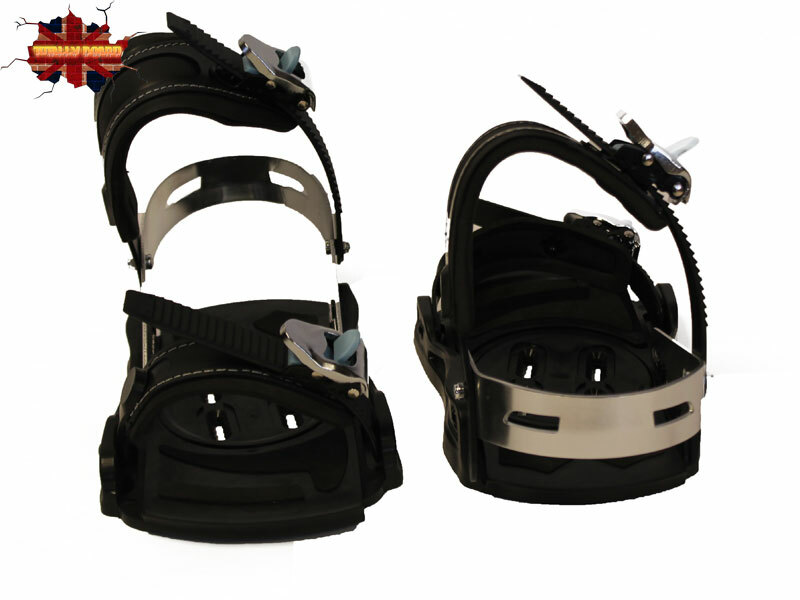 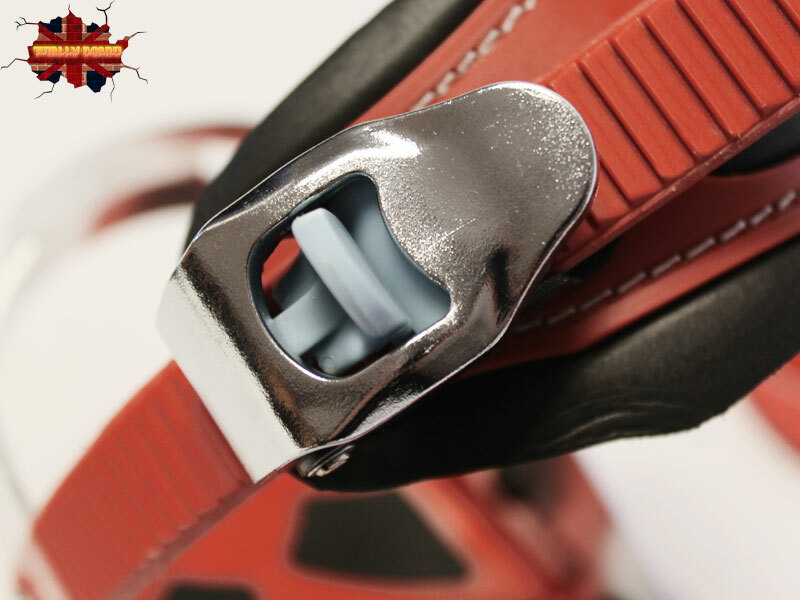 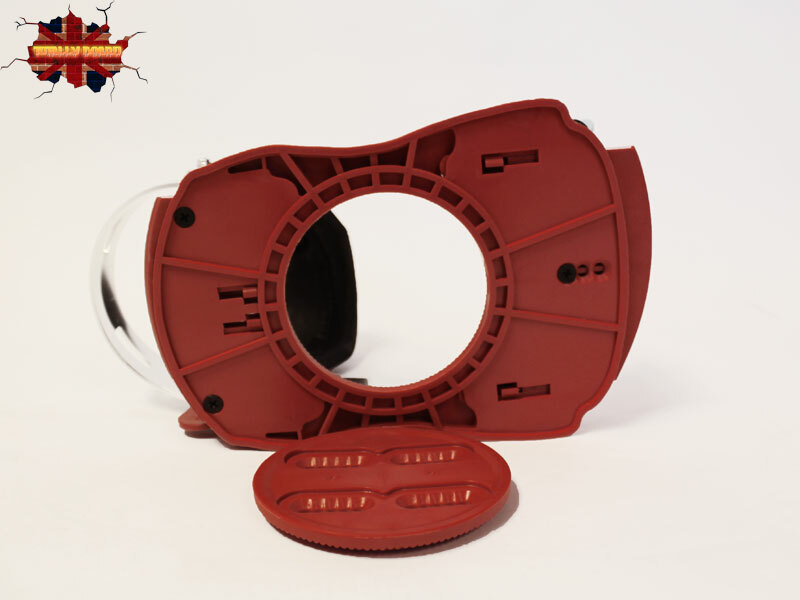 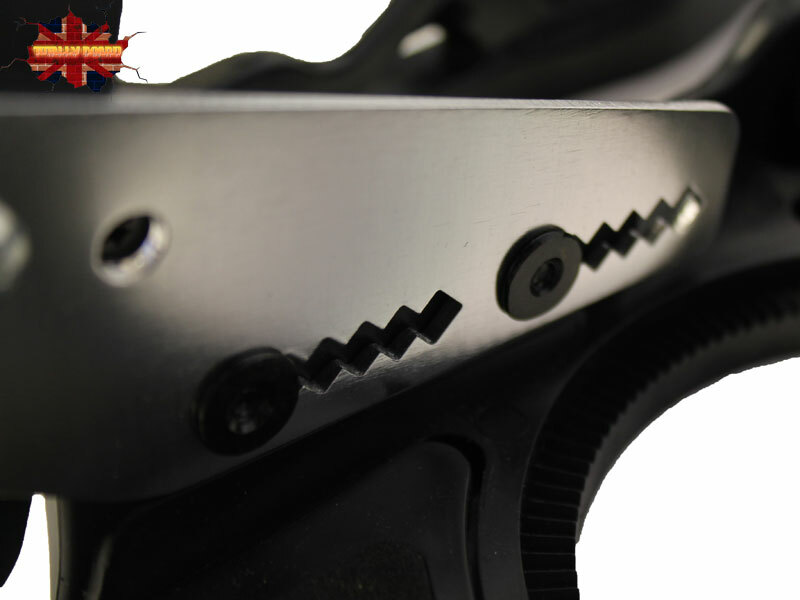 The base plate on our bindings extends and retracts meaning you can adjust it to fit any foot size. 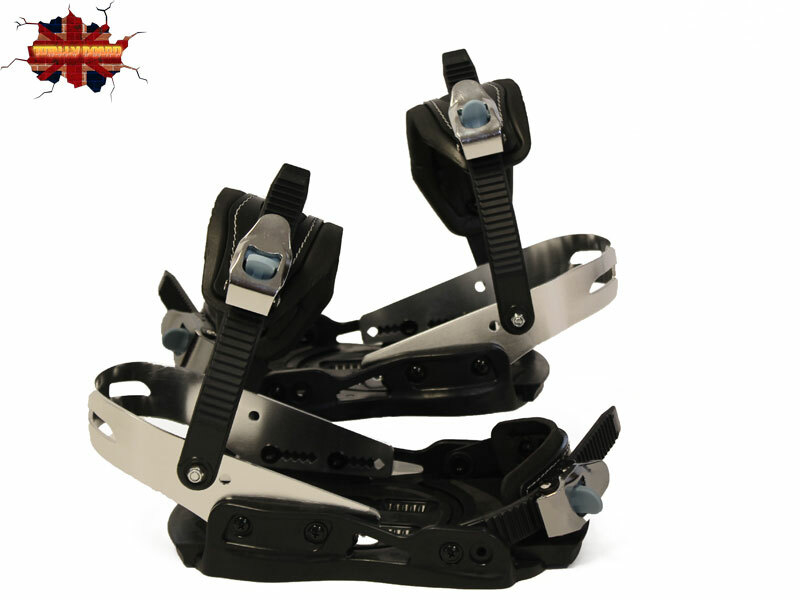 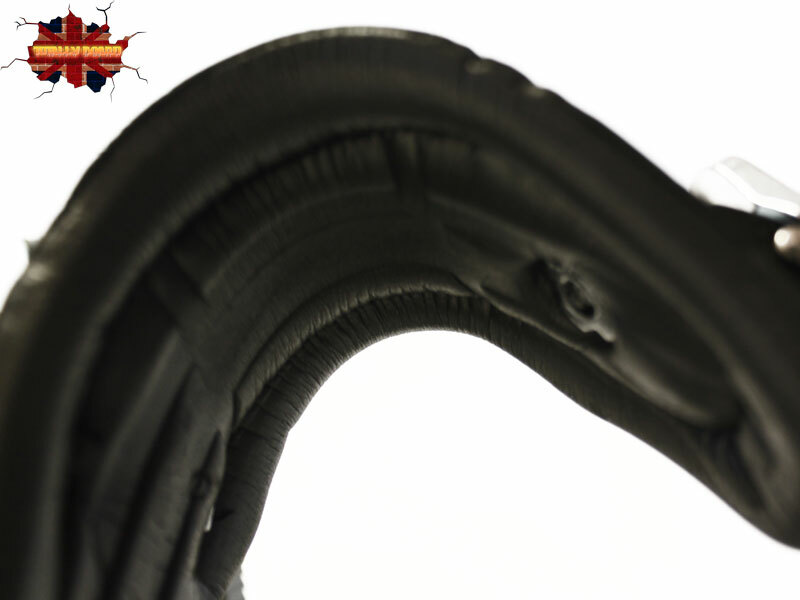 They are made to snowboarding specifications from a combination of tough aluminium and nylon parts they will serve you proud no matter how hard you ride! 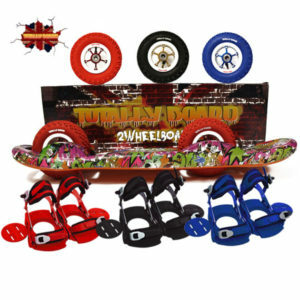 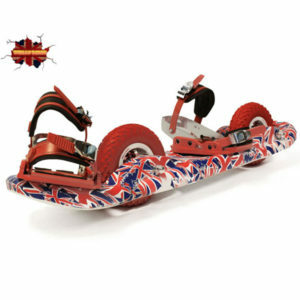 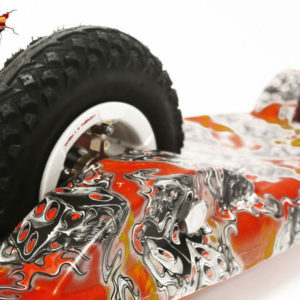 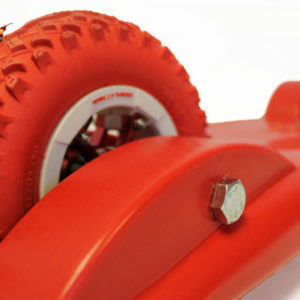 They are attached to the 2 Wheel Board by a set of six screw fastenings and have a n adjustable plate so you can set the binding on the board to your preferred riding angle.